SIX WEEK CLASS "Seeing Systems: Peace Justice & Sustainability"
FUELED BY HOPE, Featured film: "The Burden"
Seaside Center Open Forum Discussion and film showing "The Burden"
Nurturing our relationship with Nature, reawakening our Reverence for all life, experiencing a powerful women's circle, blessing our Earth and fire ceremony, accessing women's wisdom. Limited to intimate circl of 25 women at private, resort style home in Encinitas, $20, advance registration. 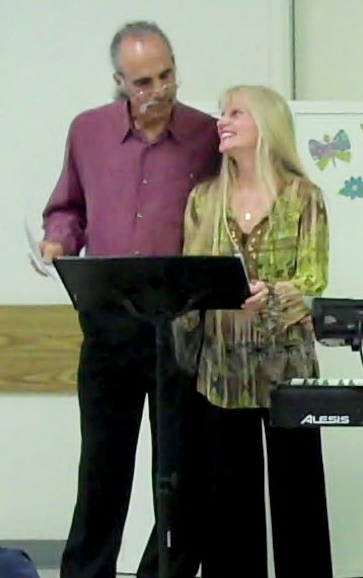 New Thought Center for Spiritual Living’s Earth Day Taize with great music (Gary Skye, Ruth Chadd Beck on harp and vocals and Michael Mandrell on guitar. Amazing photos from our members! Beautiful readings to ponder. 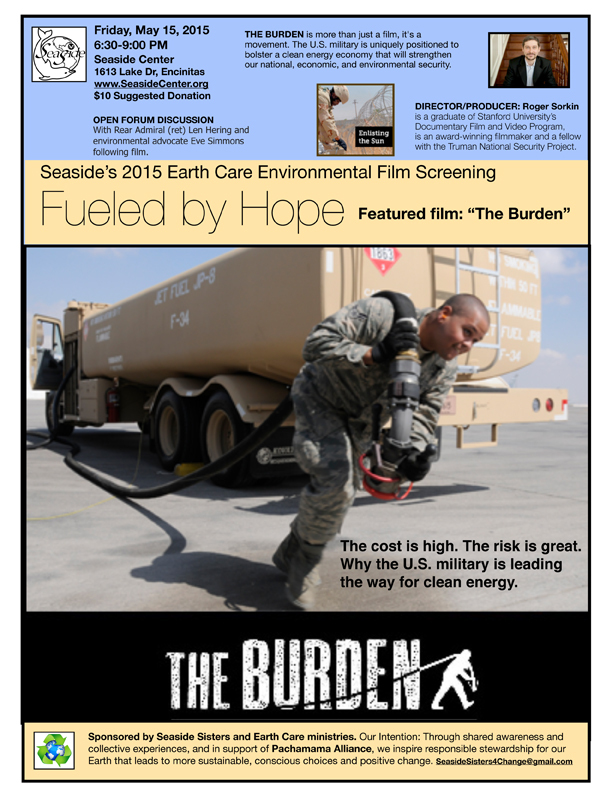 Created by the Environmental Team and Peace Now. 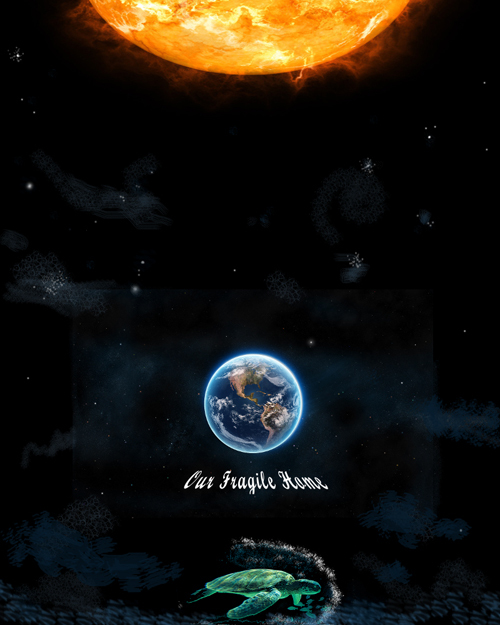 Inspired by the “Seeing Systems” class. Earth Day bulletin board with photos submitted by NTCSL members. Up through the Season of the Earth. This will be a connecting, centering & celebrating with a service at 10am and Potluck following. Rev. 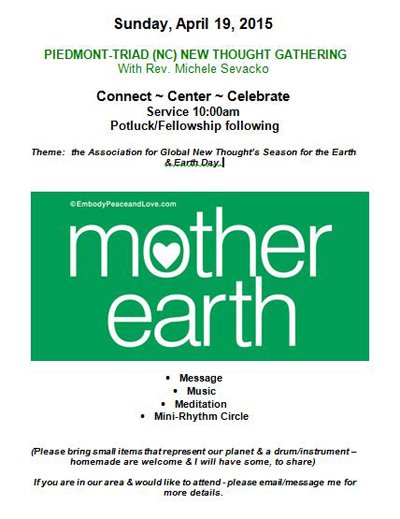 Michele Sevacko will be leading our 1st New Thought Gathering Service - including message, music, meditation & mini-Rhythm Circle on Apr 19th and the following week (Apr 26) will be participating in the Season for the Earth service at Unity of Charlotte, with a Rhythm Circle following the fellowship time. Theme “Waste Reduction”, micro theme plastic pollution in our oceans. 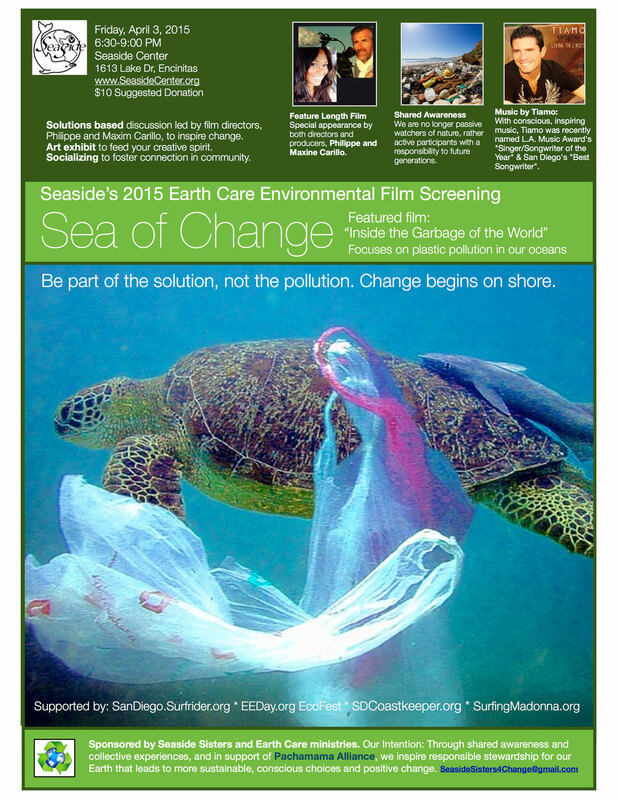 SEA OF CHANGE - Featured film: "Inside the Garbage of the World"
At a time when human unconsciousness has put us largely out of touch with the web of life, let's call forth awakening consciousness of our Mother Earth as a living, breathing entity with a heartbeat of its own. Special Season for the Earth program includes spoken work, Original music, readings and guided meditation. Focuses on connecting more deeply with Nature as well as practical ways to reduce our carbon footprint. 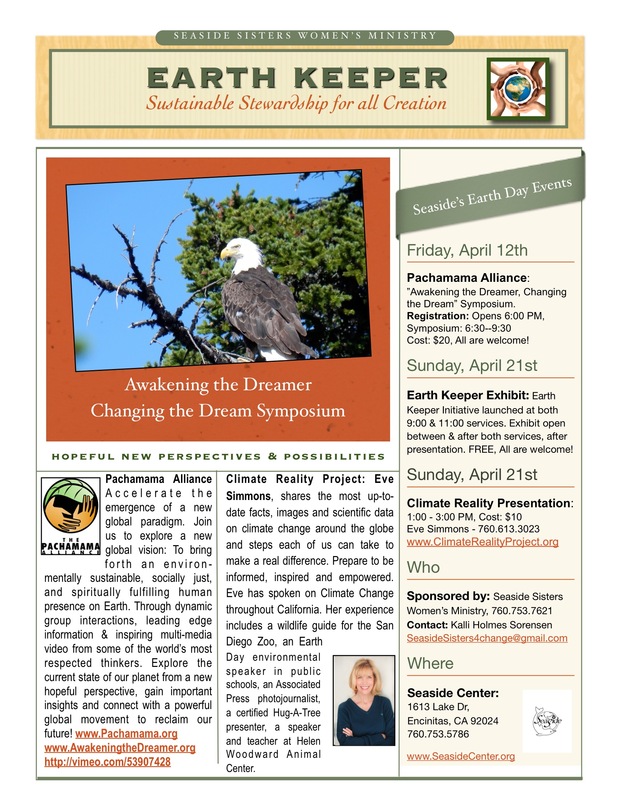 Pachamama Alliance: "Awaken the Dreamer, Changing the Dream" Symposium HOPEFUL NEW PERSPECTIVES AND POSSIBILITIES FOR SUSTAINABLE STEWARDSHIP FOR ALL CREATION. Through dynamic group interactions, leading edge information & inspiring multi-media video from some of the world’s most respected thinkers. 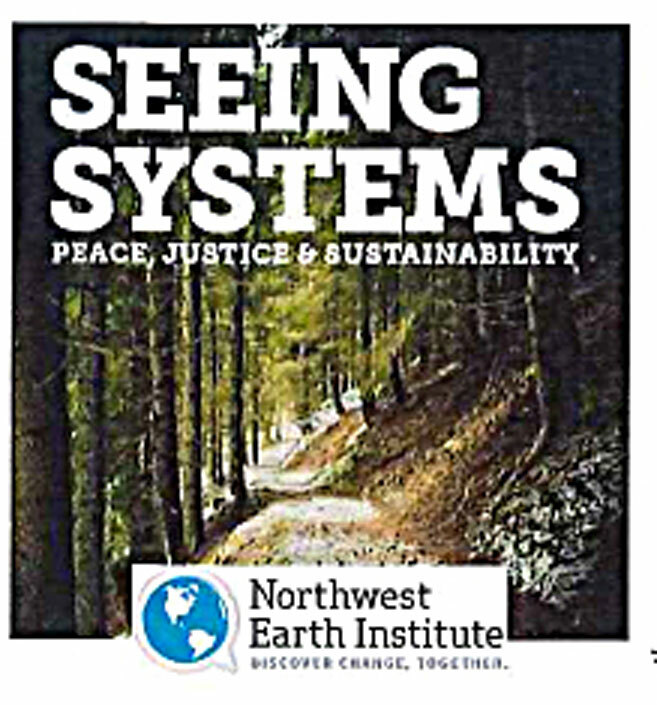 Explore the current state of our planet from a new hopeful perspective, ga...in important insights and connect with a powerful global movement to reclaim our future! 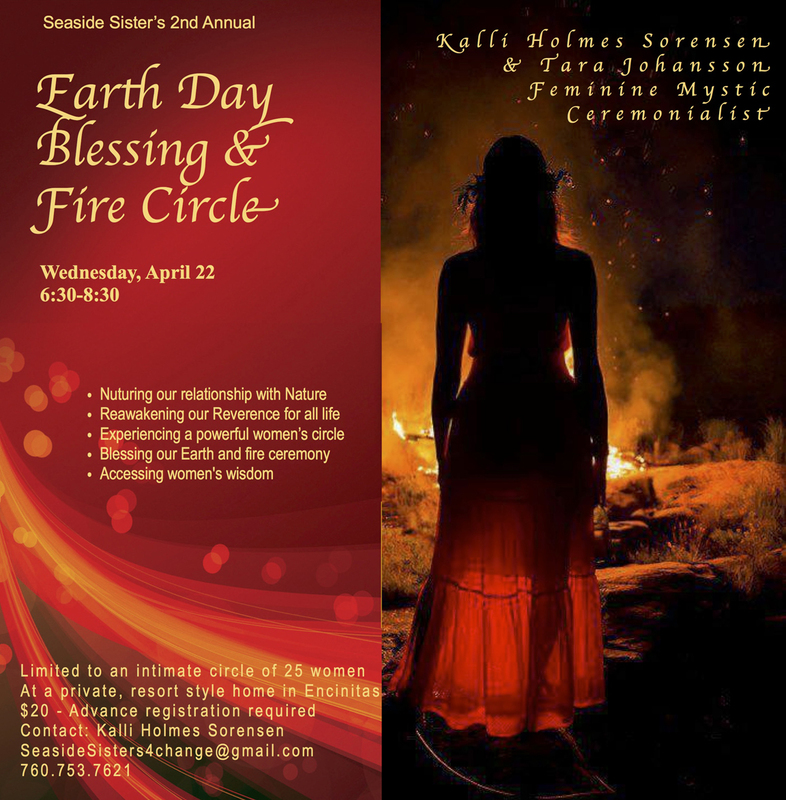 On Sunday, April 21st we will have an Earth Day celebration of Mother Earth. Come and be a part of this wonderful experience. 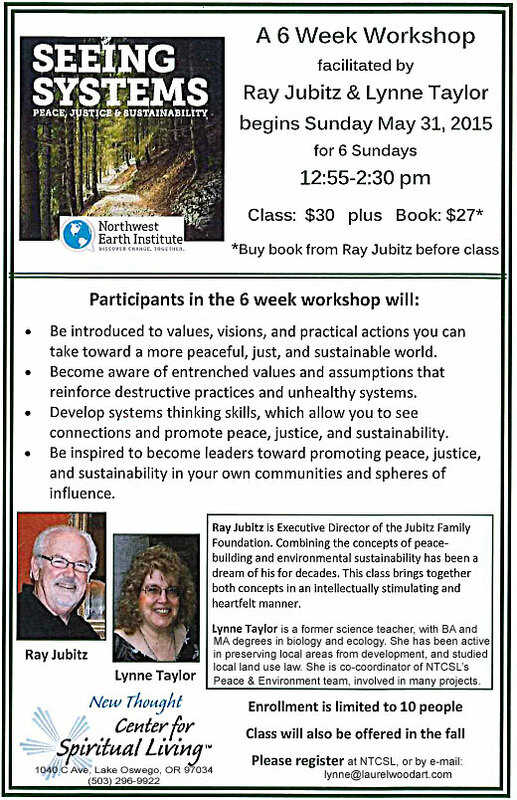 Nonviolent communication Workshop – Healing us and Mother Earth What can we do to participate in healing the earth? How can healing ourselves really make a difference for the earth, for all our relations? On this day before Earth Day we will learn and practice some ways that bring healing to our lives and our home, Planet Earth. CLIMATE REALITY PROJECT: Eve Simmons, shares the most up-to-date facts, images and scientific data on climate change around the globe and steps each of us can take to make a real difference. Prepare to be informed, inspired and empowered. Eve has spoken on Climate Change throughout California. Her experience includes a wildlife guide for the San Diego Zoo, an Earth Day environmental speaker in public schools, an Associated Press photojournalist, a certified Hug-A-Tree presenter, a speaker and teacher at Helen Woodward Animal Center. Join Anton and Laura for a magical evening of tranformational healing music, Celtic song, and participatory chant from around the world. keyboards • tablas • vocals • Tibetan bowls • pennywhistle • harmonica • bodhran Anton’s angelic meditation music, heard on Echoes and Soundscapes, has been featured live at CSL Asilomar gatherings since 2001 and at events with Deepak Chopra, Gary Zukav, Jean Houston, Michael Beckwith, and Neale Donald Walsh. Laura’s exquisite vocals have graced Asilomar, Faerieworlds, Yachats Celtic Music Festival, HSP West Coast Gathering, Oakland Festival of Harps, and more. We are one with ALL of Life. What is happening to the world’s oceans and its creatures? How are humans changing the planet's most critical ecosystem? What lies ahead unless major steps are taken now? Join ocean protector Frank Gromling to learn what each of us can do to make a difference today. Sunday, April 1, 1 pm. Walk-Victoria’s contribution to the 15th Season for Gandhi, King Chavez Season for Nonviolence. 2012 Sunday weekly meditative walks through one of Victoria’s Garden/ Urban/Natural Spaces. The purpose is to reflect on each of the weeks focused values of this year’s 2012 Cultivating Peace Project and combining this with letting Nature host the space for deepening our inner/outer connections. This walking group is different from others as we will be developing our inner curiosity and pausing to reflect on our own value experience of the weeks focus in Cultivating Peace #1-52. Guided walking with Renee turning attention to movement, mindfulness and connection. Prayer Gathering at the Peace Pole at dawn in Ute Indian Park, Montrose Co. Followed by Earth Day Service with the Blessing of the Water at Lions Park, 602 N. Nevada, Montrose. Picnic Lunch followed by cleaning of our Adopted Street in Montrose to make our City beautiful. Time: Peace Pole at Dawn. Earth Day Service and Blessing of the Water at 10:45 am. Lunch at 11:45 pm. Making the City beautiful street clean up at 1:00 pm. 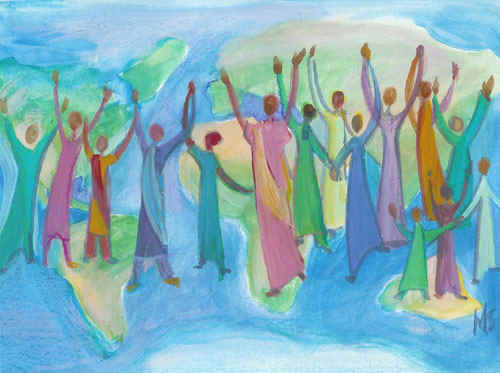 Conscious care for the earth is rooted in the profound spiritual awareness of our oneness with all creation. 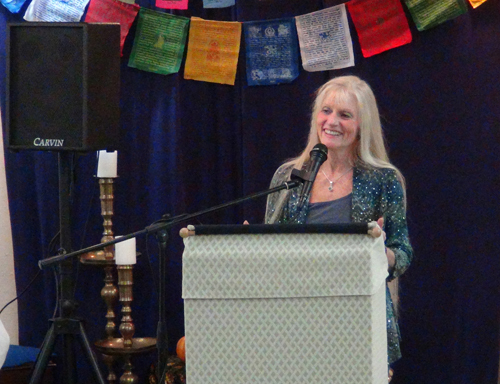 Dr. Barbara Fields, Executive Director of the Association for Global New Thought, joins Rev. O’Brian from the Center for Spiritual Enlightenment <http://www.csecenter.org/> on The Yoga Hour online to explore how the spiritual roots of New Thought, Yoga, and Deep Ecology offer a foundation for environmental awareness, ethics, and sustainable change. 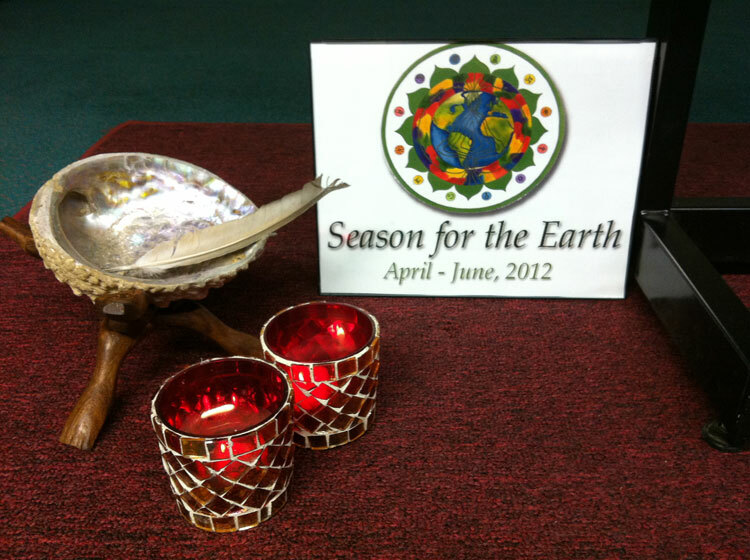 Learn about the Season for the Earth program and how communities around the world are bringing their philosophy and spiritual practices together with environmental action. Season For the Earth "Mother Earth"
Karie Hillery and Alan Linzer deliver a motivational program in support of the Season For the Earth. 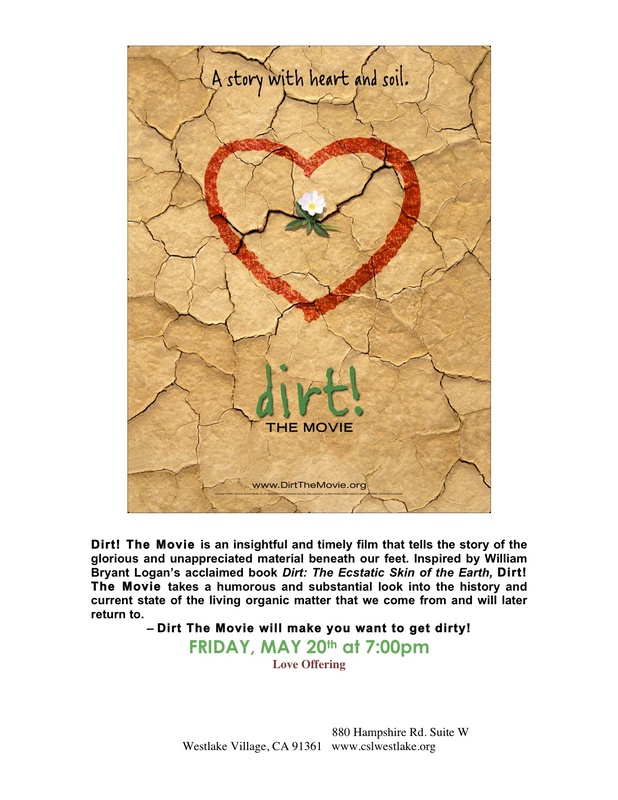 The program includes spoken word, original "conscious" pop music, inspirational readings and a guided meditation. Time: 99.3 KCLA broadcast from American Radio Network in Hollywood, California. 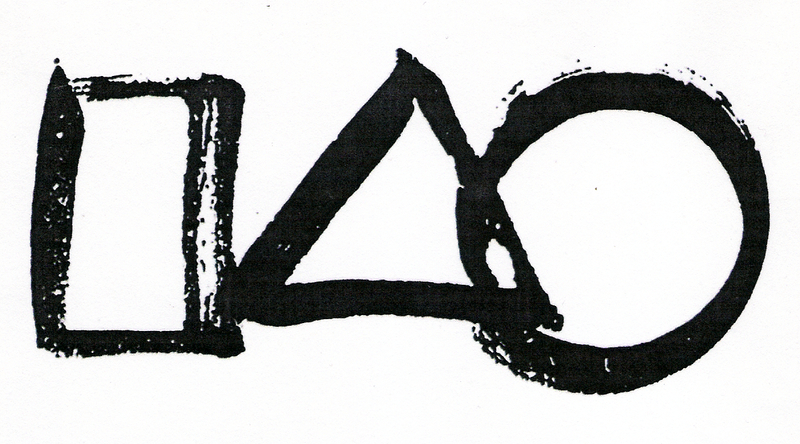 Online streaming is available at 10:30 a.m. Thursdays PST-1:30 p.m. EST. Our Tri-Fri monthly animal-friendly, animal-themed service is open to animals of ALL species! 6:30pm on the third Friday evening of each month. 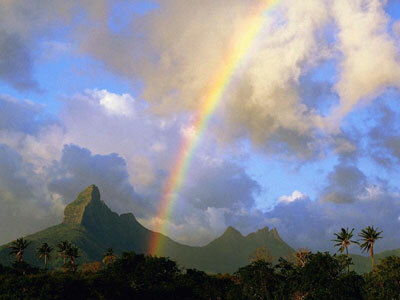 Join Two Time Grammy winner Mary Youngblood and World-renowned Percussionist and Sound Healer Michael Bayard for a soul-stirring musical concert, as we explore the beauty, mysticism and healing rituals of Polynesia and Ancient Hawaii. Join our team of extraordinary musicians and artists for this dream-like and compelling musical journey. This program also features the breathtaking vocal of Ann Roach, and the exceptional dance artistry of Daleela Morad in the dance of the “Volcano Goddess.” These sound healing concerts are critically-acclaimed, and have been described as “visionary,” “magical’ and “phenomenally orchestrated. Music, Kirtan, Yoga, Energy Healers, Permaculture & Green Workshops, Meditation, Palmistry, Art, Vendors, Indigenous Elders Holding the Space of Earth, All Are Welcome! 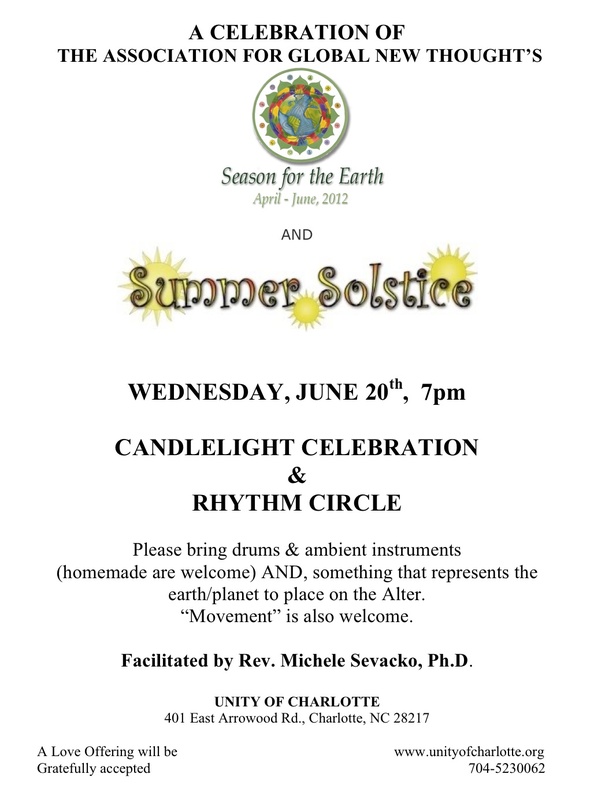 We will have a guided meditation, focused on healing & honoring the earth - as well as welcome Summer with hand-drums, ambient instruments, chants & movement. Think you're green? Here's a way to take it a step further and make a HUGE and sustained difference for the enviornment --- and all the precious life she suports! Join us for NO Receipt Please! Day. Here are some very interesting facts from AllEtronic, (http://www.alletronic.com/index.htm) a great organization that is trying to promote a system of digital receipts: "50% of forests have been cleared and 50% of that is for paper. 9 million... trees a year, just for paper. It takes approximately 15 trees to produce a single ton of paper. Receipt paper demands in the US are 640,000 tons per year. This equates to 9,600,000 millions trees cut down each year just to produce paper receipts. So let's get started! Starting at midnight --- wherever you are --- on April 22nd, Earth Day, proactively smile broadly and state to your retailer, " NO Receipt Please! I"m saving the planet!" And then do it the next day and the next and the next! If we do this, collectively, we can change the way our planet does busness! Are you in? See if you can talk any of your local retailers into not offering receipts on April 22nd unless they are requested. OR, ask them to have their sales staff to ASK if a person would like a receipt henceforth. If they agree, list them here! Let's get to changing the world! 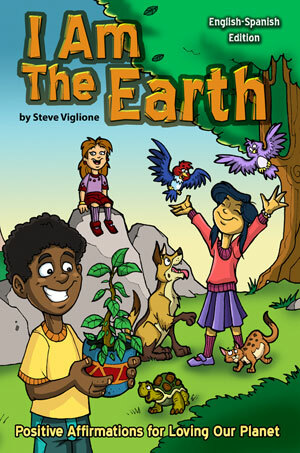 The Season of the Earth (http://www.agnt.org/) is upon us! Let's start the celebration! Learn more about the incredible negative impact paper receipts have on our enviromnent on our new PEACEANIMAL Facebook page and let us know you'll be participating -- or if you can talk some of your local merchant's to proactively particiate! Let's get to changing the World! 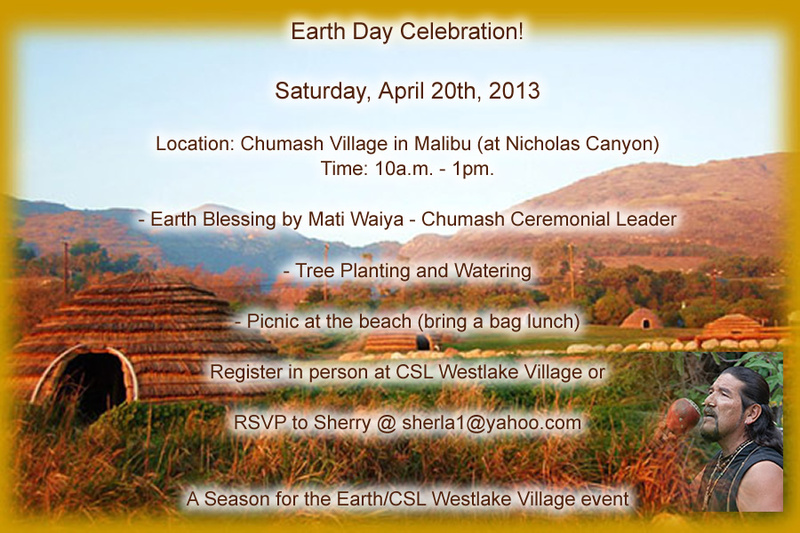 Mati will share the Native Chumash traditions for healing and protecting the earth and its natural resources. Mati believes that education is the primary tool for a future healthy, sustainable environment, awakening a passion for our natural surroundings in both young and old alike to be passed on for generations to come. One in an ongoing series of animal-centered Sunday messages to which ALL species are invited! Animal Kinship Sunday Services are delivered by Emerson Theological Institute credentialed Animal Chaplains at 2pm on the 3rd Sunday of the month in the church chapel. 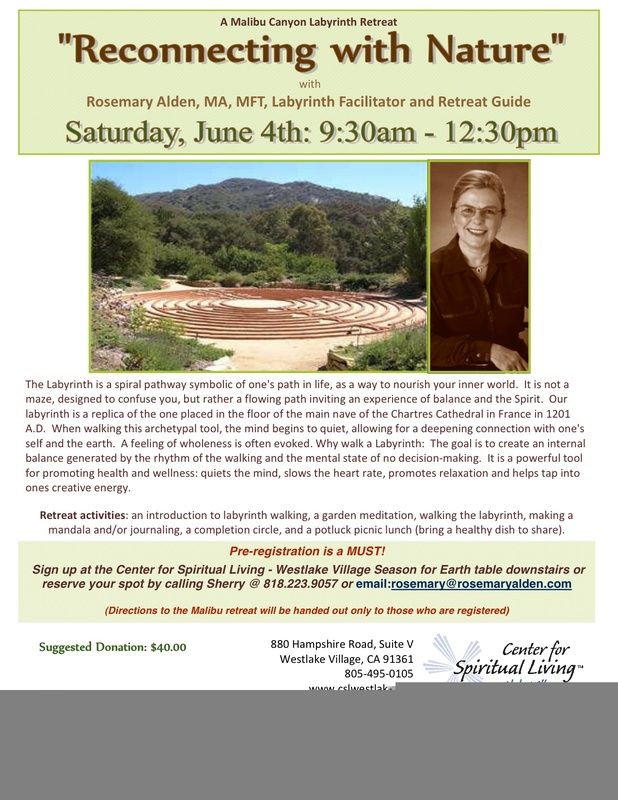 A Service focused on healing the earth, through Drumming, Chanting, Guided & Silent Meditation w/discussion following. Began in Flordia in 2010 and quickly spread around the world. Communities gathering peacefully joining hands to say yes to clean energy. We did a meditation for the Animals of the Earth. The feather, sea shell and soil within it represent, respectively, animals of the air, water and land. The two candles represent the Great Spirit and our equal expression of It. We also framed and included the beautiful mandala and discussed the corresponding colors and the meaning of the four 'seasons' we observe each year. This photo is a booth that we had giving FREE Vegan/Veg Samples of alternatives to killing animals, which in turn benefits the Earth. We served over 400 samples at the FestivalofGoddesses.com event on April 14, 2011. We are in the process of getting a booth at the WorldFestEvent.com May 22nd, and we are looking into thenewworldfest.com event June 23-25th.